I've seen lots of hype circling around this product and being an Origins fan that I am I knew it was a product which would interest me. I can totally see why this has been featured and raved about many times by fellow beauty bloggers. 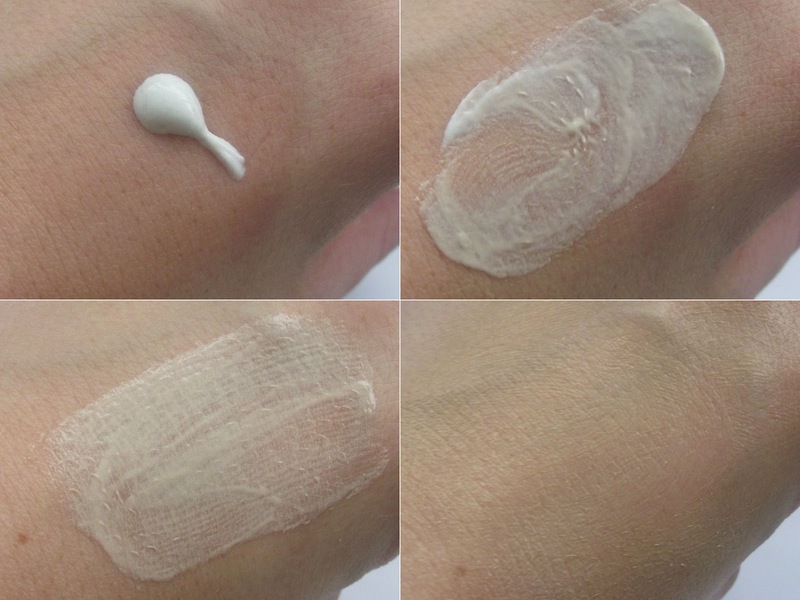 This is not what you would expect, on first glances it looks like your typical white moisturiser. However on closer inspection you can see tiny little beads speckled amongst the cream. When VitaZing is rubbed into the skin it turns colour and becomes a sheer tint. It gives the skin a beautiful natural tint which is great on hot sunny days or days when you don't want a full face of makeup. It boosts your skin with hydration and radiance and helps control oil. This multi-tasking moisturiser handles the vital jobs of hydrating, energizing and protecting to maintain skin's momentum all day. Gives skin the refreshing zing of antioxidant-rich Mangosteen. And adds a healthy hit of radiance that mimics the glow you get from a week's vacation. Slip it on first thing tomorrow - you'll look like you eat right, sleep tight & don't have a worry in sight. It has a subtle scent which is pleasant and not off putting. You only need a small amount which is good to know, I apply it as you would a moisturiser. I do use my brush but don't think that's a necessity. I then finish off by using my fingers to blend it in and prevent any areas which don't look blended. It does adapt to your skin tone so I think this would still be good for fair/medium skin tones, I'm not too sure if you have a darker skin tone. It's probably best you visit your local counter and speak to the consultant and have them test it on you. This is great to use after I've applied self tan the following day. It just helps hydrate my skin and evens out my skin tone slightly. If my skin is going through a bad patch this isn't enough coverage for me so I tend to only reach for this when my skin is behaving. It's great as a quick fix and a good one to take on holiday with you, it also contains SPF15 which is another bonus. You can purchase VitaZing SPF15 online and instore, it's a nice 50ml size so it should last you a fair bit. If you purchase online Origins normally always have free samples to give away, so if you know what you want it's sometimes worth checking online at the offers. I just wanted to mention Origins recently launched the Spot Remover Blemish Pads, I'm sure you've all heard about the amazing Super Spot Remover Gel. I swear by it and can't rate it enough, it really helps soothe angry sore blemishes and helps remove them quickly and gently. So when I saw they have released Blemish pads I thought 'Ohh' I bet these are good. I would love to know if anyone has tried them yet? I'm also really interested in the Brighter By Nature Pads, I think these would help my forehead. Has anyone tried them? Great review. I've had my eyes on Vitazing for honks now, think I'll just have to take the plunge!